I personally feel that one day soon a Nuclear engine will be put into an airliner. This method of powered flight is quite feasible, but was shelved by the USN and USAF because they felt that any aircraft could be vulnerable to fighter or missile attack. There was no place for it to hide. The technology was then applied to the development of Nuclear submarines. But civil aviation is something else. They don’t have to hide. They can be used to carry huge passenger loads for years without refuelling. 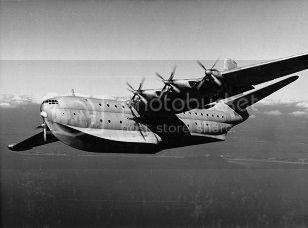 Watch the video about the two variations of nuclear engine construction and see how Britain was asked for the use of their Saunders Roe Princess flying boat as a very suitable aircraft of the day. An aircraft big enough to carry a nuclear reactor with the necessary heavy crew shielding. Today the A-380 Airbus sized jet powered aircraft could easily be suitable.